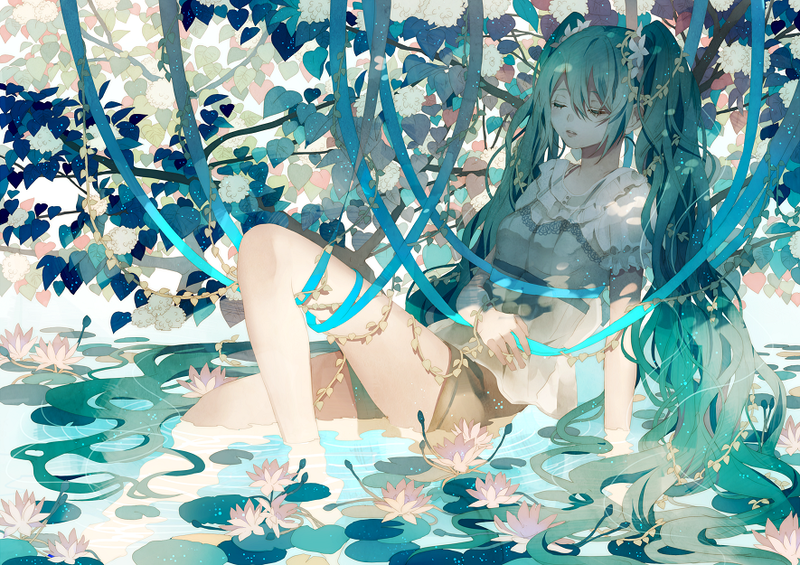 Hatsune Miku!. . 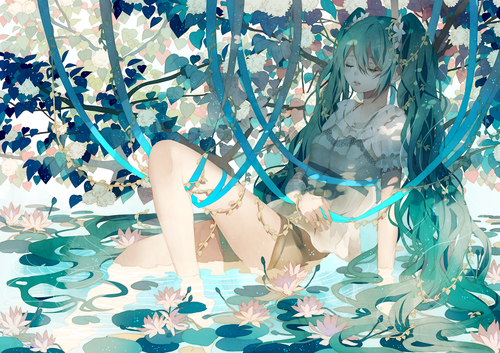 HD Wallpaper and background images in the anime club tagged: anime hatsune miku vocaloid. This anime photo might contain boeket, corsage, ruikertje, bouquet, posy, camelia, and camellia.